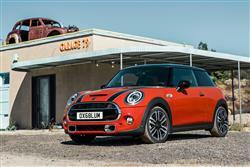 The latest MINI Cooper reprises an old theme but adds polish. Can it still play the entertainer? Jonathan Crouch reports. For an object lesson in how to improve a model, look no further than this latest MINI Cooper. Fresh technology, smarter connectivity, standard-fit front and rear LED lights across the range and an advanced dual-clutch automatic gearbox; what more could you ask for? Lower pricing? It's good to know that MINI isn't utterly infallible. Following a vehicle as successful and as adored as the original Mini Cooper was always going to be a tough task but judged in terms of sales, BMW's rebooted 21st century MINI Cooper has to be judged a success. We've rapidly evolved to this third generation design, originally introduced in 2014 and here usefully improved in facelifted guise. 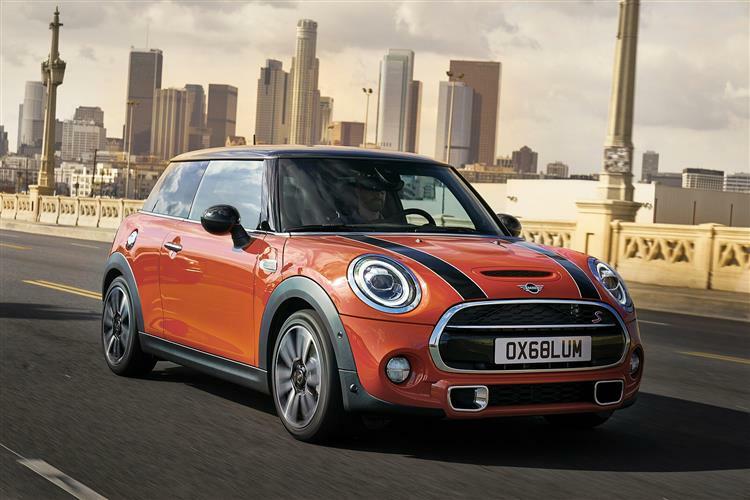 While it's gradually become smarter and slicker, the Cooper can't afford to lose any of its likeability. As a warmish sports hatch, this one ought to be able to shift stock purely on the way it drives, but let's get real. This car's as much about design as dynamics. The key themes in developing this current Cooper have been to retain the look while improving quality, refinement and efficiency. Some smart technology has crept in which is sure to be popular. Although it looks much the same, be under no illusions: this latest model is a massively improved vehicle. The petrol Cooper variant we're looking at here continues to use a three-cylinder 1.5-litre turbo engine. 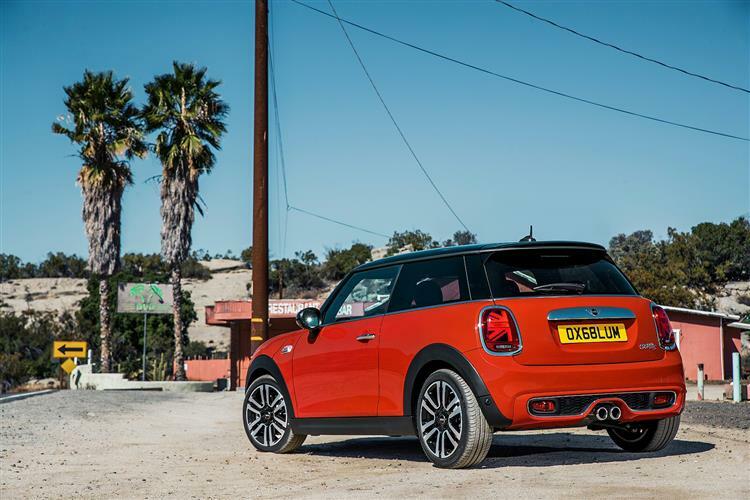 MINI says that minor changes have been made in recent times to this unit's TwinPower Turbo Technology, improving engine electronics, oil supply, intake air ducting, the cooling set-up and the exhaust system. Perhaps most significant though is the news that the brand has at last got around to fitting in a proper dual-clutch auto gearbox for those wanting a self-shifter, this now a 7-speed unit. Otherwise, it's as you were, all based on a chassis that's BMW's clever UKL1 platform, which also underpins a number of front-wheel drive BMW models. The Cooper's 1.5-litre engine puts out 136hp and develops peak pulling power from just 1,250rpm, helped by a tiny turbocharger. It even sounds good and BMW's engineers have worked at giving this version the sort of mid-level throttle response that you'd expect of a normally-aspirated engine. The sprint from zero to 62mph takes 8.0 seconds in either manual or auto guises. The manual has a neat trick up its sleeve though, namely automatic rev matching for smoother downshifting. The multilink rear suspension achieves decent bump absorption and supple body control, thanks to a layout that helps ride compliance without sacrificing roll stiffness. That's a win-win for the keen driver. The MINI Cooper Hatch rides on some quite dinky little 15-inch forged alloy wheels, which have low weight and excellent aerodynamics. If you think that is entirely too much tyre sidewall to be going on with, you can specify rims of up to 18 inches in diameter as options, but do bear in mind that the car's ride will suffer as a result. The styling of this revised model doesn't look all that different, but close inspection will reveal the addition of standard-fit LED front and rear lights, plus there's now extra scope for all-important personalisation. Get out the tape measure and you'll find that this MK3 design is actually larger than you might think, thanks to a wheelbase exension of 28mm over its post-2014-era predecessor. These proportions give it quite a squat, purposeful look, helped by the tapered glasshouse. It's a touch larger than you might expect inside too - or at last it is provided you haven't been consigned to a rather cramped seat in the back: if that's an issue, you ought to be considering the alternative five-door version of this model - or perhaps the MINI Countryman SUV. Still, access to the rear isn't too bad and the rear bench seat splits 60:40. Boot volume is a supermini-like 211-litres. There's also decent interior stowage space, with cupholders and storage cubbies. Various fresh trimming options are available and a 6.5-inch colour infotainment screen and a multi-function steering wheel are both now fitted as standard. There are three trim levels on offer here - 'Classic', 'Sport' and 'Exclusive'. You'll pay from just under £17,000 for the MINI Cooper 3-door hatch in 'Classic' form, with about £1,500 more necessary if you want automatic transmission. That doesn't seem too much of an exorbitant sum for such a quick and capable car. Equipment levels across the range feature items such as ambient lighting, auto headlamps and wipers, ISOFIX child seat fixings front and rear and Bluetooth. 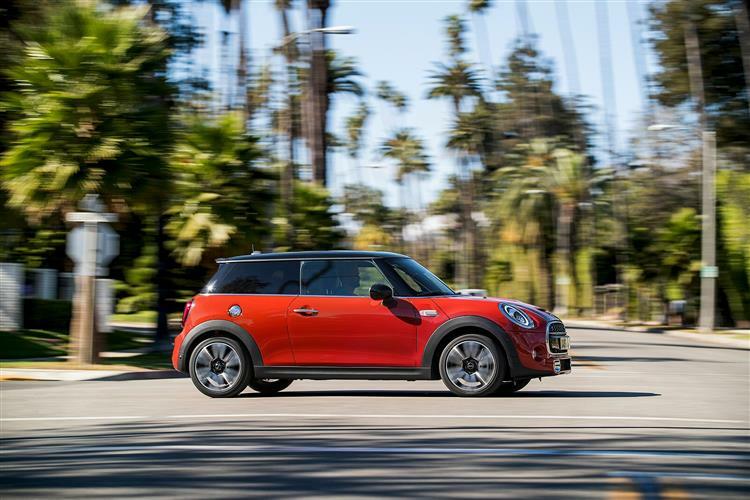 The MINI hatch buying proposition has always been about tailoring the car to your personal tastes, so you might well indulge in extras like body stripes, a John Cooper Works spoiler and contrasting mirrors. You can also choose from technology such as a head-up display, a MINI Navigation System, MINI Connect telematics and traffic sign recognition. The MINI Touch Controller allows you to write individual letters that the system then recognises when you're trying to input a sat nav destination for instance. You can also upgrade the standard 6.5-inch central infotainment display to a rather more special 8.8-inch colour screen. Other options include two-zone automatic air-conditioning, heated front seats, a panoramic glass roof, a visibility package including windscreen heating, rain sensors, automatic light control, a Harman Kardon hi-fi speaker system and a sports leather steering wheel. You can also spend your money on Park Distance Control, electrically heated and folding exterior mirrors, and an automatic anti-dazzle function for the interior and exterior mirrors. As you can see, the base retail price is just an opening gambit. 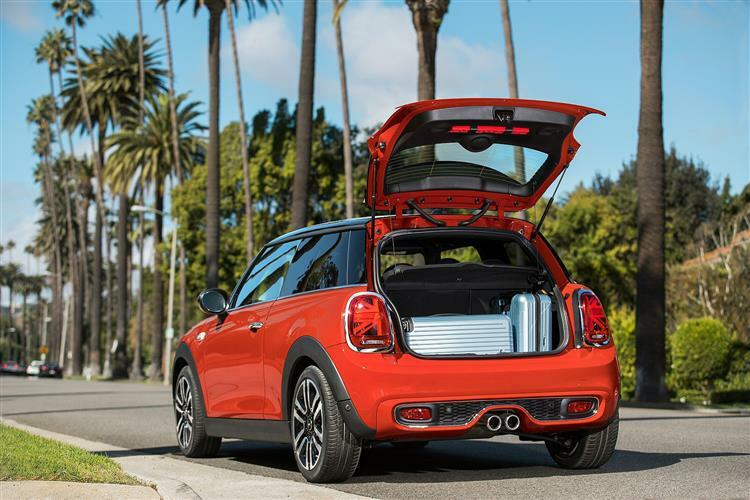 The latest MINI Cooper 3-Door Hatch registers a respectable fuel economy - expect between 51.4mpg and 55.4mpg, depending on wheel size and transmission choice. Emissions are rated at 122g/km for manual models or 117g/km for the Steptronic automatic - a decent showing for a car offering this kind of performance. An innovation lies with the MINI Driving Modes, another optional extra. Using a rotary switch at the base of the gearstick or selector lever, drivers can swap from the default MID mode to either SPORT or GREEN. The three choices offer a set-up which is either performance-oriented, comfort-biased or geared towards fuel efficiency. The latter includes a coasting mode when the driver removes their foot from the accelerator pedal. 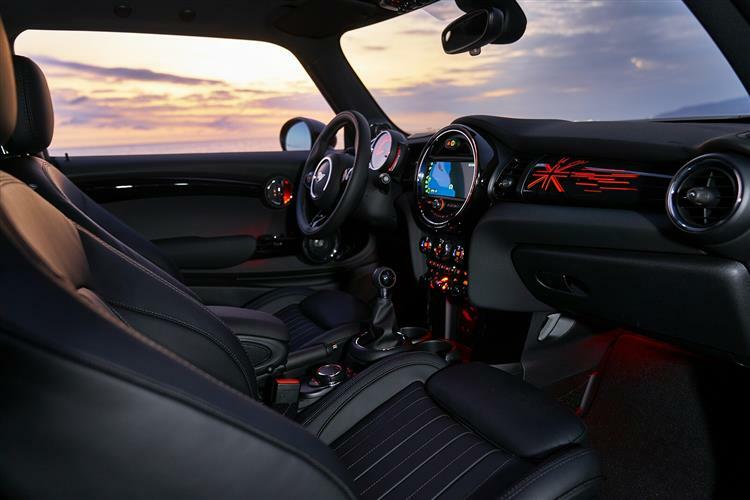 MINI Driving Modes also influence the ambient lighting, shift characteristics of the automatic transmission and the Variable Damper Control - if that extra cost option is selected. So this improved Cooper 3-door hatch is smarter and slicker, with more of the juvenile design elements removed as the car matures. So has it lost some of its cheekiness and charisma? Maybe. 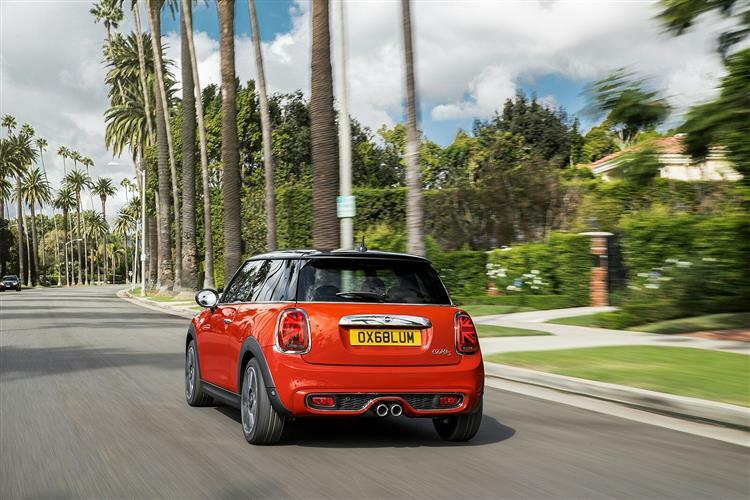 The MINI is no longer a car that seems to occupy its own niche. It's been too profitable for that and many others have muscled in as a result. This Cooper model more than makes up the difference with an engine that's tuneful and revvy. Couple that with decent efficiency and a sharp chassis and it's hard to argue that this latest Cooper hasn't improved by a useful degree. Its rivals have played a high stakes game but MINI has just laid down some more aces.